A bride and groom are the ones that need to assess the situation. They know who the guests will be and what their tolerance is for alcohol. Do you think you will have trouble controlling the crowd? Some in attendance may be known for consuming more than they can handle of liquid refreshments. Remember, you need to take into consideration all guests view of such matters. Although some feel any social gathering is license to over-indulge, it is certainly inappropriate to get drunk at a wedding reception. Other alternatives would include that of having someone serve the beverages, having a bottle or two of wine or liquor of your choice on each table. Some may choose to just do away with the option of serving alcoholic drinks all together. Any one of these alternatives will limit the amount of alcohol consumption. 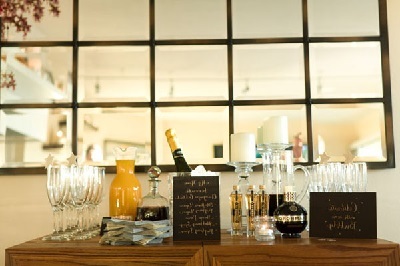 If you choose to have one choice of liquor at your reception, then choose an appropriate one for the theme or season. As an example, if you are having a buffet and morning reception then mimosa would be a wise choice. If it’s a late night or formal reception, then have champagne punch.